Every week we like to look back at everything we have read to bring you more information about the digital divide, digital inclusion and technology trends from around the web. Today we look at Cyber Awareness month, donating technology and supporting PowerOn in this edition of The Weekly Plug. Cyber Awareness Month! Protecting your data in public spaces is becoming more challenging with the increase in hacking. Read more on our latest article on the best methods to protect yourself while using public wifi. Tech Facts Tuesday Did you know? "71% of our e-waste in U.S. is thrown in landfills." By donating technology helps reduce e-waste and bridge the digital divide. Click the link above and learn how your donation helps. PowerOn Friday's Getting excited to buy your new iPhone? So are we! 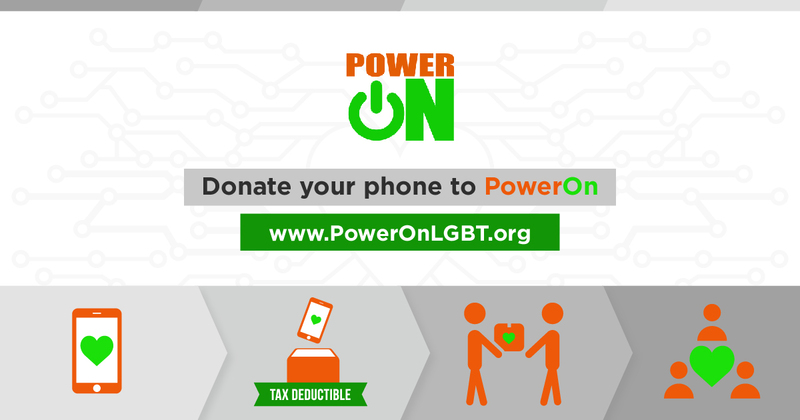 Don’t forget that you can donate your old phone to our PowerOn program and give a lifeline to homeless LGBTQ youth. It’s free and so easy! Click the link above to find out more.